Sky high, multilayered cakes are a traditional dessert in the South. 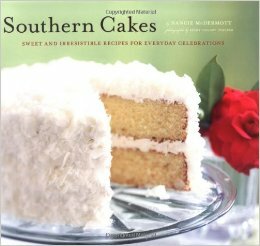 This book on Southern Cakes gives you great recipes and includes the stories and traditions behind cakes, such as the Tennessee stack cake. Who’s the boss in your kitchen? Is it Mr. coffee filter? Aunt Pickle? Superintendent flour sifter? They’ll all bow to the awesome power of Mr Icing Spreader. 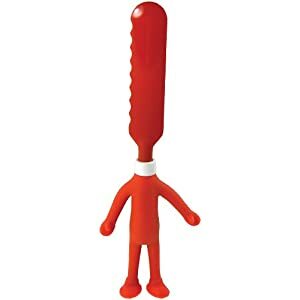 Just look at that powerful stance, the dominating head, and cutting edge side-grooved haircut. Mr. Spreader is also perfect for applying icing to your cake when he’s not kicking assparagus. masterfully converting a log into a shaker inspired table. Norm’s a master builder with a garage filled to the rafters with the best tools. Table saws, reciprocating saws, nail guns, and planers are great fun. But nothing is as cool as a router. Routers magically transform square blocks into groovy and swoopy masterpieces. This sculptor set is like a router for cake decorating. Why settle for a flat cake when you can create a New Yankee work of art. The kransekake cake is a traditional Norwegian cake served for special occasions, such as weddings and Christmas. 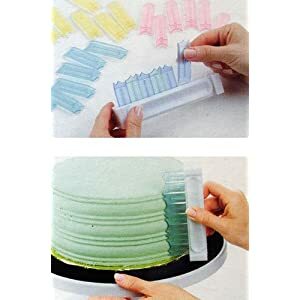 These cake forms allow you to create the individual rings that are stacked to generate the cake. Sprinkle forms lightly with cream of wheat or farina. Form dough into rolls the size of your finger and place into ring-shaped forms. Bake for 20 minutes in middle of oven. Let rest a few minutes before taking cakes out of forms. 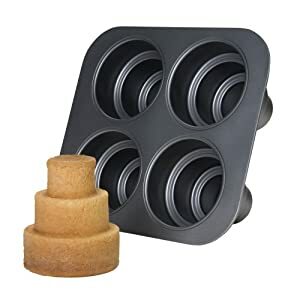 This pan makes four miniature wedding cakes at once. 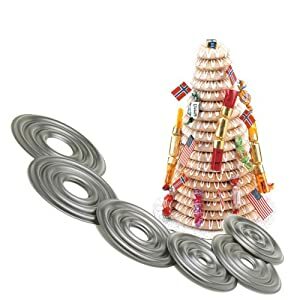 Can you imagine how difficult it would be to make these without this pan? You’d have to bake a sheet cake, cut the tiers, frost, build, etc. With this pan you just pour, bake, frost, and then stand back and wait for the accolades. 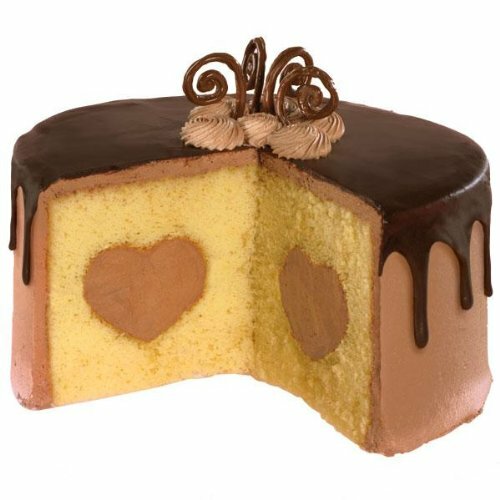 There are lots of specialty shaped pans: Peanut Butter and Jelly sandwich cakes, Bundt cakes, madeleines, popovers, serpentine brownies, etc. The pans keep baking fun. This multi-layer pan could also open new bakery options. 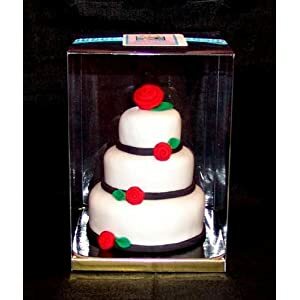 Here’s a sample decorated cake.